In 2015, Asia’s fintech startups attracted US$4.5 billion in venture capital funding through 130 deals, making the region the second biggest player in terms of venture capital following North America with US$7.7 billion through 378 deals. According to a report by KPMG and CB Insights, 2015 was a record year for Asia. The spike was attributable to a notable rise in US$50 million + deals, which included One97, Dianrong, and BankBazaar, among others. Although the US and Europe have so far led the fintech wave, Asia’s conditions are ripe for fintech, according to a report by Kapronasia, one of the Asia’s leading research and consulting firm. The region’s large unbanked and underbanked population, its high Internet and mobile penetration rates, as well as its entrepreneurial spirits in countries such as South Korea, Singapore, and Hong Kong, are making Asia fertile ground for fintech disruption. In the region, locations such as Singapore and Hong Kong are working towards becoming frontrunners in fintech. 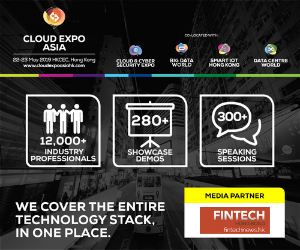 Singapore, which aims at becoming a Smart Nation and building a Smart Financial Center, is looking at financial technology as a way of gaining a competitive edge compared to other countries; while Hong Kong is exploring fintech to keep its position as a global financial center. It has become evident to a number of governments that banking and financial services will keep on moving towards greater digitalization. Regulatory-wide, Singapore has been one of the most active and supportive jurisdictions in Asia in this regard. 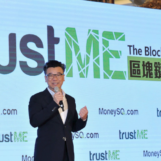 The Monetary Authority of Singapore (MAS), Singapore’s central bank and financial regulator, has committed a great amount of resources into fostering the country’s fintech ecosystem and boost development. 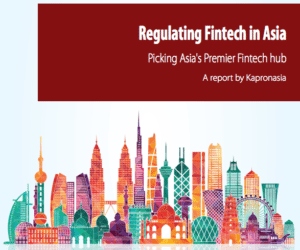 “Singapore’s regulator is skillfully strengthening its stake to become an important fintech hub,” reads Kapronasia’s Regulating Fintech in Asia report. Hong Kong, too, has been very supportive of fintech, encouraging technologies such as e-Chaue, NFC mobile payments, and the Electronic Bill Presentment and Payment (EBPP) system. In November 2015, the Hong Kong government published a new piece of legislation for payment services, providing a legal framework to regulate stored value facilities (SVF) and retail payment systems. 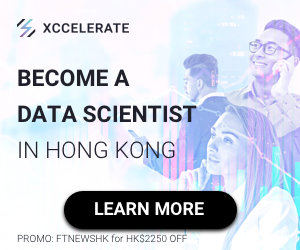 Meanwhile, the Securities and Futures Commission of Hong Kong (SFC) has created a Fintech Contact Point to engage with companies on fintech issues. 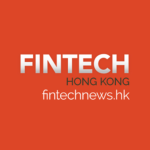 “In the near future, Hong Kong is expected to emerge as a very important global fintech hub. Its regulatory environment, with its distinctive blend of a global outlook and local considerations, is expected to position it favorably for that role,” the report says. Japan, Asia’s second largest economy, has been moving slowly but steadily. The Financial Services Agency (FSA), the country’s financial regulator, has taken a proactive approach to ease up startup funding rulings. Overall, the recent policy announcements have been favorable to Japan’s fintech ecosystem. “In the near future, the country is expected to witness an increase in fintech activity,” the report says. However, Japan will need to work on integrating its financial services industry into the global industry, and in particular the Asia-Pacific industry. South Korea, on the other hand, has been struggling to become a credible force in the fintech world despite the country’s 85% Internet penetration rate and 67% smartphone penetration rate. South Korea’s Financial Services Commission (FSC) has taken on the promotion of fintech as one of the key focal tasks for financial reform in the country. As of 2015, it was estimated that there were about 360 fintech startups in the country, hiring a total of 25,600 employees. The government is said to have invested a total of US$229 million in 296 startups in 2015. 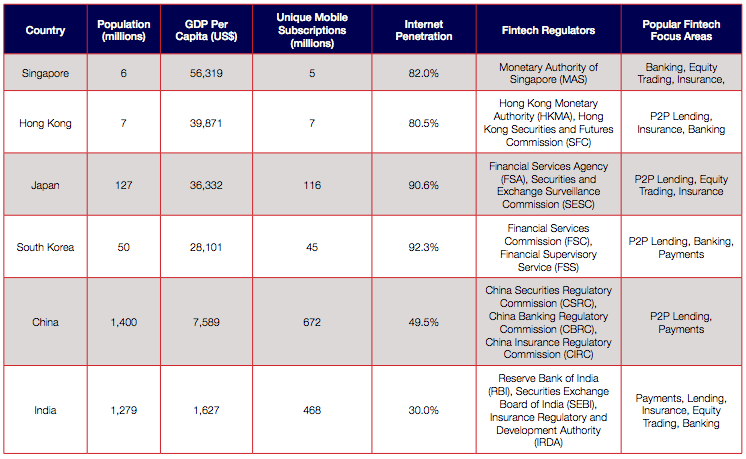 China, Asia’s largest economy, is undeniably a leader in fintech in the region. 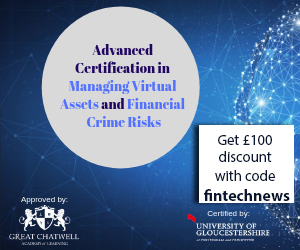 Its vibrant financial services industry has been quick to embrace digitalization. Today, China is home to the world’s largest P2P lending market and has several unicorns focused on payments and remittances. Alongside China, India as well has been one of the main draws for fintech’s growth and focus on Asia, attracting in 2015 some US$1.5 billion in venture capital. Fintech in India is regulated by three different bodies: the Reserve Bank of India (RBI), The Securities and Exchange Board of India (SEBI) and the Insurance Regulatory and Development Authority of India (IRDA). The RBI has been very supportive of fintechs, expressing optimism around the positive impact of the industry on advancing financial inclusion. In 2015, the authority issued 21 banking licenses to companies wishing to leverage technology to provide financial services to the unbanked and underbanked.